American dancer, actress, and choreographer Carol Haney (b. 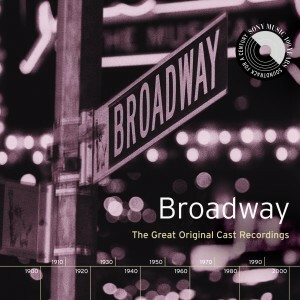 New Bedford, MA, 24 December 1924; d. New York City, NY, 10 May 1964) burst upon the Broadway scene in The Pajama Game in 1954. Over a very short but blazing career on stage and silver screen, she wowed her audiences with her unstoppable verve, personality, and creativity. Little Carolyn Haney knew she would be a dancer from a very early age. She opened her own self-financed dancing school when she was only fifteen years old. At New Bedford High School she performed often in student productions, with the Mexican Hat Dance as her specialty. After graduating in 1942, she left home for Hollywood and eked out a living in bit parts until the legendary choreographer Jack Cole spotted her and made her his assistant and dance partner. She worked with Cole for two years until 1948, when the great Gene Kelly lured her away to serve, uncredited, as his assistant dance director and choreographer for On the Town (1949), An American in Paris (1951), and Singin’ in the Rain (1952). In all, between 1945 and 1950 she danced uncredited in five movies. Indeed, the star dancer’s role in Singin’ in the Rain was originally intended for Haney, but she was unceremoniously relegated to the role of répétitrice when Kelly discovered Cyd Charisse. Finally Carol Haney landed a spot – still at MGM but with an entirely different crew – as a specialty dancer and partner to a young Bob Fosse (playing Hortensio) in Kiss Me, Kate (1953). Fosse choreographed, without credit, their duo segment in “From This Moment On.” It was this segment in the film, with its unusual gestures and striking postures like finger-snapping, rolled shoulders, and turned-in knees, that caught the eyes of producers George Abbott and Jerome Robbins, and resulted in Fosse’s first Broadway assignment, as choreographer for The Pajama Game (1954). Fosse was so taken with Haney (“like Marilyn Monroe,” he said) that he insisted that she be given a dancing part in the show. When rehearsals began, she impressed Abbott, the director, as well, so favorably that Abbott combined her small role with another major part to create the new character of Gladys Hotchkiss. Dancing and singing “Steam Heat” and “Hernando’s Hideaway,” “Gladys” won Haney two Donaldson Awards and a Tony® for Best Featured Actress in 1955. The show won for Best Musical, and Fosse took his first Tony® for Choreography. Shirley MacLaine, who was Carol Haney’s understudy, also reaped a major benefit from “Gladys.” MacLaine knew that Haney was nearly indestructible, and that it was unlikely she would get a chance to go on in her place. But one month into the show, Haney suffered a torn ankle ligament, at the very moment that Hollywood producer Hal Wallis came to New York specifically to see Haney’s performance. As soon as Wallis saw MacLaine, he offered a contract to her instead. Carol Haney’s own success was not diminished, however, in the least. 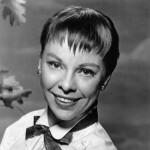 She made several appearances on television, and when Helen Gallagher replaced her in The Pajama Game in 1956, Haney returned to Hollywood to dance as Scheherazade in Gene Kelly’s long-dreamed-of film trilogy, Invitation to the Dance (1956). 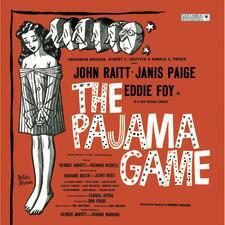 Immediately thereafter, she recreated Gladys in the film version of The Pajama Game (1957). Director George Abbott, Fosse, and most of the cast were imported from Broadway for the movie, with the exception of its star, Doris Day. It was soon obvious that the formerly indestructible Carol Haney was seriously ill; she collapsed several times during the filming of the dance routines. She was diagnosed with diabetes. Then it was back to New York, to choreograph Flower Drum Song (1958). Husband Larry Blyden, whom she had married in Hollywood in 1955, starred in the show. 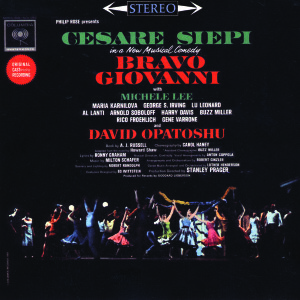 She earned a Tony® nomination for Best Choreography, as she would do for Bravo Giovanni in 1963 and Funny Girl in 1964. She Loves Me (1963), starring Jack Cassidy, won no awards for Haney’s choreography, but was nominated for Best Musical and had a moderately successful run of 301 performances. Carol Haney’s health, complicated by alcoholism, continued to deteriorate. She and Blyden divorced in 1962, when their two children were barely five and sixteen months old. By the time Funny Girl went into rehearsal, she was almost totally debilitated, and Jerome Robbins was called in to finish staging most of the musical numbers. Out of respect and love for his old colleague, Robbins refused to take credit for his work. Haney died of respiratory failure a scant six weeks after Funny Girl opened, and never had the chance to exult in the show’s sensational success (1,348 performances) or enjoy the Tony® nomination she received posthumously. She was only 39.